I’m not really a fan of pointing out FAILS unless they really irk me. Rather than posting precautionary tales of what not to do, I’d much rather point people toward examples of what to do. Coming from a customer service background has given me an affinity for wanting to point out people and brands that get it. The ones that make you feel like an individual rather than one in a giant number of social media followers. Here are a couple that stood out to me this week. Anyone who knows me knows I really get into two things: technology and exercise. 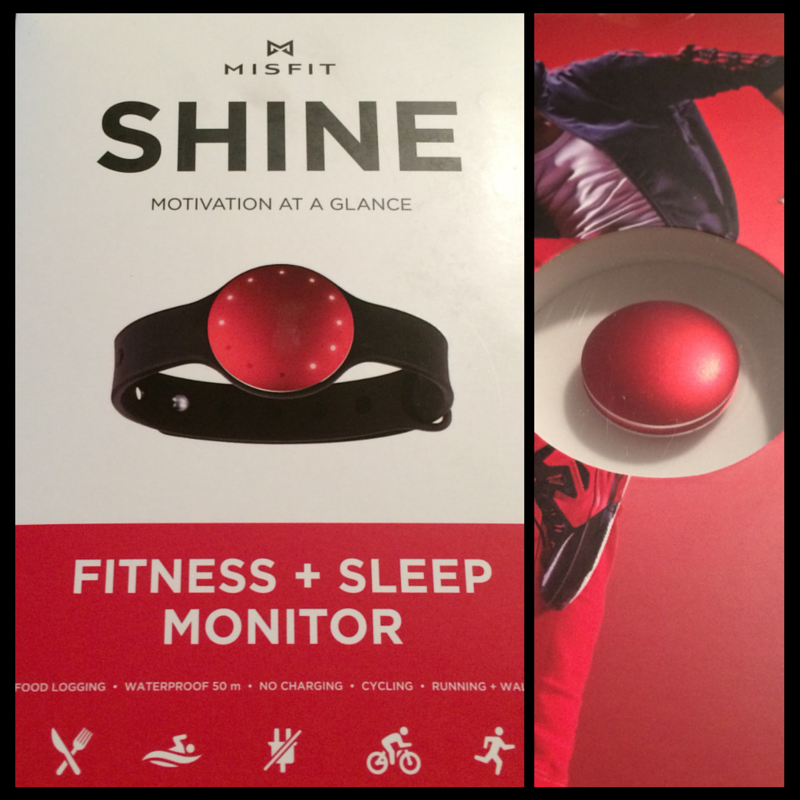 During SXSW last year, I came across a fashionable and lightweight fitness tracker called the Shine, by Misfit Wearables. I love it. It’s minimalistic and not clunky, attaches nearly anywhere, and I get asked about it by people all the time. So you can imagine my disappointment when mine suddenly stopped working a couple weeks ago. Meanwhile, a buddy of mine just picked up a high-tech Microsoft band and was trying to get me to convert. When I find something I like, I’m typically pretty loyal, so I decided to post on Misfit’s Facebook page asking for any recommendations on what I could do to try and get my Shine working again. Their page boasts over 21,000 fans at the time of this writing. That’s no small number. Their posts to page section is a constant stream of comments, both compliments and complaints, and my question easily could have been overlooked. But it wasn’t. Instead, I was directed to private message, where they asked for my address to send me a new shine. No twenty questions, no asking me to send in my defective product. They fixed it for me. In my preferred color. Like customer service bosses. And now I’m writing and sharing about it. Social listening, folks. Do it. Your customers will love you for it and you’ll be respected because of it. More importantly, they kept me from leaving. Had I received no response, I’d have likely started shopping around for another fitness tracker to see what was out there. By keeping me with them, they kept me from meandering. Nicely done, Misfit. 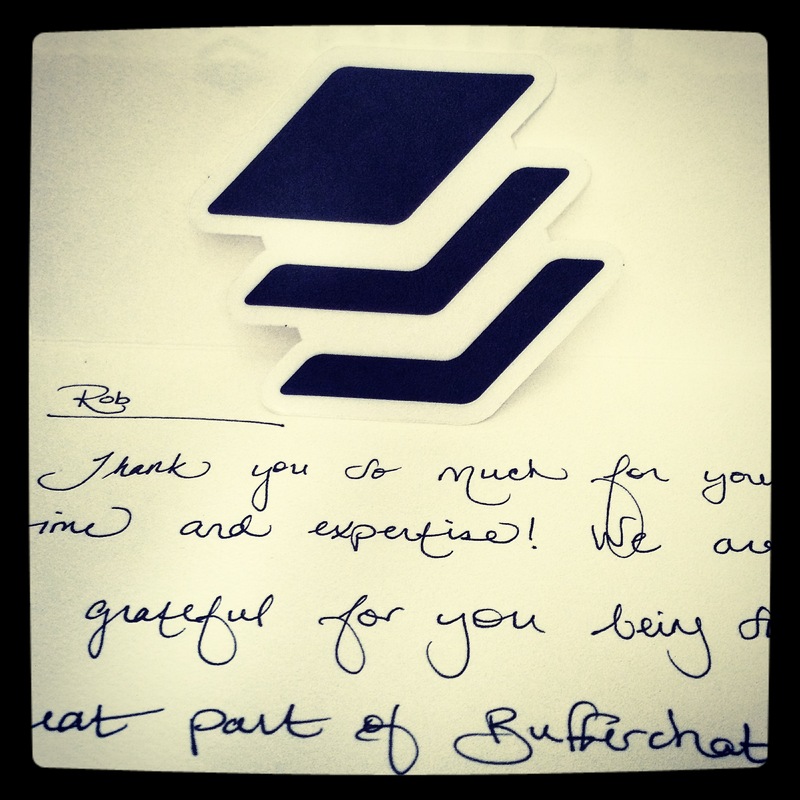 There isn’t a single bad thing I can say about the folks at Buffer. Their app is solid, their content never ceases to amaze me, and their people are genuinely the nicest on the entire interwebs. When I see their logo, I don’t see a brand. I see the smiling face of someone who genuinely gives a damn. They also happen to lead a weekly #Bufferchat that continually engages and informs their audience around consistently interesting topics. I recently jumped in to a #Bufferchat that they held. It featured my very smart friend DJ Waldow (who actually inspired my last post), and turned out to be a great discussion. Afterward, I received a DM from Nicole, the Community Champion at Buffer (ps, I love their titles), asking me if she could send me some stickers to show her appreciation of my participation. One thing you should know about me is that I’m kind of a swag whore. Gimme all those things. Naturally, I was geeked. The folks at Buffer are pretty swell. Their sticker game is strong, and they really appreciate their community. Plus, just look at that handwriting! What I received was a premium-stock card with a handwritten note (in very fancy handwriting, might I add), plus two high-quality stickers. All because I actively participated in a chat. You want to talk about building community and making your fans feel special? Nailed it. Now, some of this could be chalked up to an influencer marketing strategy. I get that. I’m not what one could call a high level influencer (my followings aren’t that massive comparatively), but I am very vocal about things I’m passionate about. And you can bet I’m going to continue to be vocal about my affinity for Buffer and Misfit. 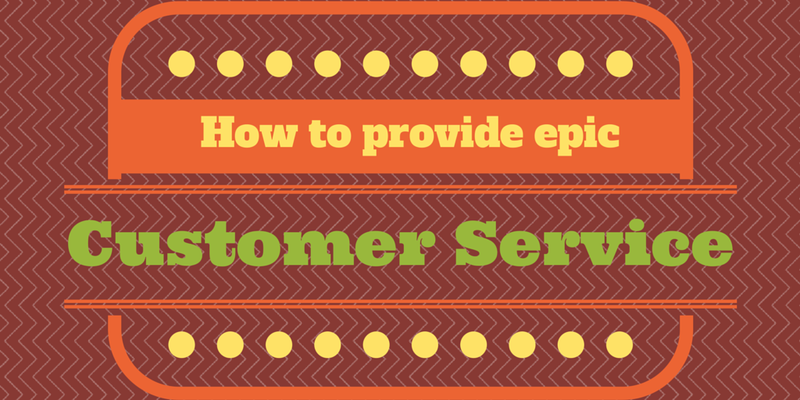 Good customer service also isn’t just about handing out freebies. The main points of this are to listen to what your customers are saying, solve their problems, let them know you appreciate them in whatever ways you can, and don’t treat them like faceless entities in an online crowd. Hats off, Buffer and Misfit. You won the week. 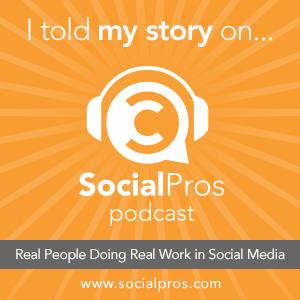 What are some examples of amazing customer service or community-building that you’ve experienced from a brand? Share your story in the comments below. Now, go get your social on! You are so great Rob. Seriously. This post is so incredible and you taking the time to write this and share your experiences means so much! I appreciate what you guys do, Nicole. All praise is well-deserved! Keep up the great work.